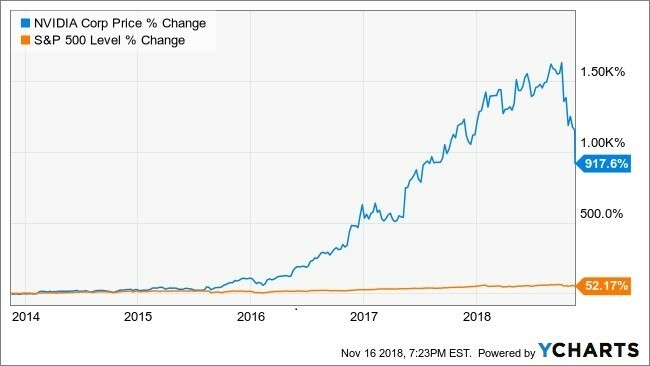 Nvidia Corp.’s (NVDA) stock had been one of the great growth stories in the stock market over the past five years. The stock has surged by more than tenfold during that time. However, that has all come to a halt since October with the stock crashing, now 43% off its highs. The bad news is that hedge funds and institutions had been buying up shares of the stock and the third quarter was no different. The stock plunged on November 16 after the company reported weaker than expected quarterly results. Disappointing fiscal fourth quarter guidance has resulted in analysts slashing earnings and revenue estimates. Now, all the hedge funds and institutions are likely fleeing the stock at a rapid pace given the stocks sharp decline, and that means the selling probably isn’t over. 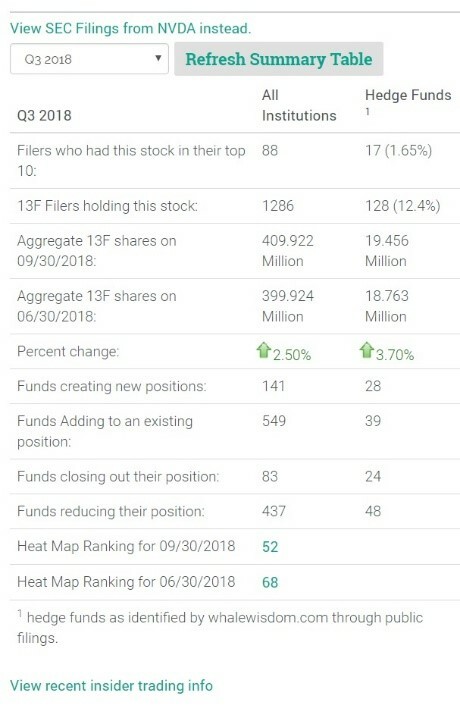 Hedge funds were adding to the holdings in the third quarter with the total number of 13F shares rising by 4% to 19.5 million shares. During the quarter, nearly 28 funds created new positions while 39 added to existing ones. On the flipside, 24 funds exited the stock while 48 reduced their holdings. Overall, total institutions increased their positions 2.5% to 409.9 million with a total of 13F shares. Now it seems like the funds and institutions are running for the exits. Shares have been in free fall over the past month, and the stock likely isn’t finished falling. That is because the company reported fiscal third quarter 2019 earnings that were 4% below estimates and revenue that was 2% below estimates. The company issued revenue guidance well below Wall Street consensus estimates. As a result, analysts have cut their fourth quarter earnings estimates by a stunning 31% to $1.41 per share. Additionally, revenue estimates have fallen a shocking 21%. The result is that analysts now see earnings for the fourth quarter falling 18%. Meanwhile, revenue is expected to fall 7% versus the same period a year ago. Those reductions are not all, because estimates for 2019 and 2020 have also fallen sharply following the disappointing results. 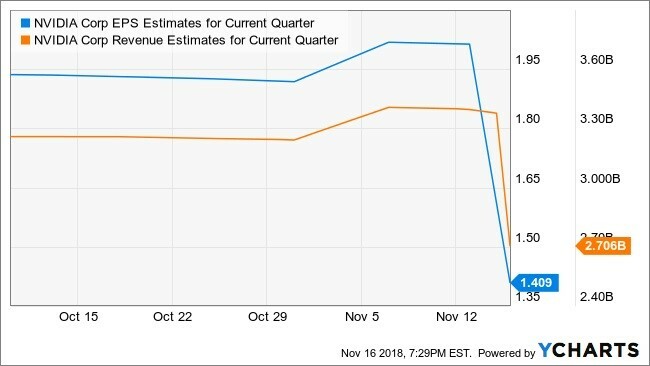 Analysts have slashed their 2019 earnings estimates 6% since the end of October and have slashed their 2020 estimates by 4%. Revenue estimates for 2019 and 2020 have also fallen 4% for each year. All the institutional and hedge fund buying the stock has seen over the past five years during the stock’s massive rise appears to have evaporated in a matter of weeks. There is a very good chance that investors are not likely to come rushing back into the stock anytime soon. This entry was posted on Monday, November 19th, 2018 at 9:57 am and is filed under 13F, Hedge Fund News, Stock. You can follow any responses to this entry through the RSS 2.0 feed. Both comments and pings are currently closed.